Over a decade ago Peter Jackson thrilled us with his vision, giving breath to the The Lord of the Rings trilogy. Once a year, we were treated to another Peter Jackson masterpiece of epic proportion. It was several years ago when word first set in that a Hobbit film was going to be made, but Jackson wasn’t going to be behind the director’s chair. When Jackson returned to direct, the series then was changed to yet another trilogy with the first being called The Hobbit: An Unexpected Journey. Was this a good idea or wasn’t it? In this prequel, Martin Freeman stars as a young Bilbo Baggins. When Gandalf (Ian McKellen) shows up at Bilbo’s doorstep, he invites him on an adventure. Initially, calm and collected Bilbo refuses the adventure but soon after, thirteen dwarves show up at his home and eat all of his food. It is then that Bilbo decides to go on that adventure. He and the dwarves were heading to the Lonely Mountain to reclaim the dwarves land and defeat the evil dragon known as Smaug. On the way they must defeat the kings of the orcs, goblins, trolls, among other life-threatening creatures of doom and gloom. Like the original The Lord of the Rings trilogy, this had a very simple but solid plot. It’s very simple to understand what they are attempting to do, and knowing The Lord of the Rings, we have a pretty good idea of the types of things they will run into. You will notice quite a few throwbacks to the first trilogy, just as you should. Some actors return for short cameos including Ian Holm, Elijah Wood, Hugo Weaving, Cate Blanchet, Andy Serkis, and Christopher Lee. Just as you might imagine, it is pretty entertaining to see these actors bounce back to their characters. Even Ian McKellen, who does at times seem older than his role in the original trilogy. It has been a decade after all. You will have to keep something in mind while watching this flick. Mainly speaking, try not to compare it to The Lord of the Rings, or you will have a hard time accepting it. It will be almost impossible not to notice the obvious problem that this film holds. In Peter Jackson’s other series, the fellowship was made up with a diverse group of incredibly memorable characters, each of which you could name off after watching the films. Out of the thirteen dwarves, maybe two are memorable, but not nearly as much as Aragorn, Gimli, Boromir, or Legolas, and who can ever forget Samwise the Brave or Mary and Pippin? Those characters had such a high importance factor that it is almost inconceivable. Some critics may see that The Hobbit: An Unexpected Journey doesn’t hold the same and automatically fixate on that fact, ultimately rating it low. 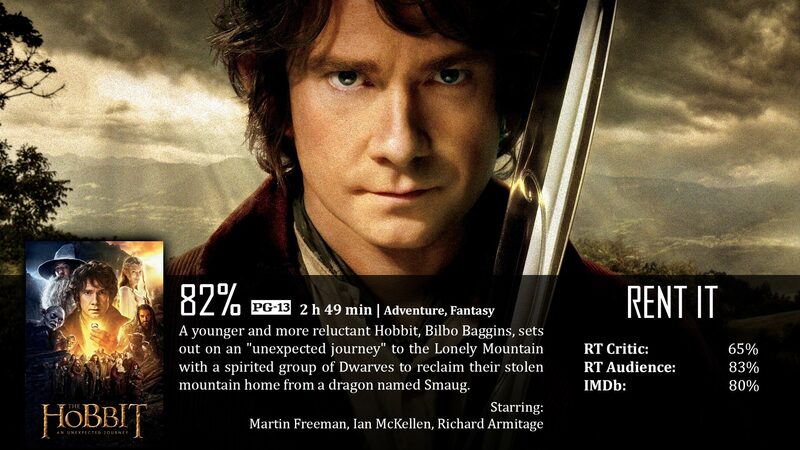 Clearly, Bilbo was memorable and Freeman did a fantastic job at portraying the character. Gandalf is still kicking major orc and goblin tail, and there were even some great memorable villains, including the mysterious “Necromancer”. It may not be on par with The Lord of the Rings, but it was still pretty good and actually pretty memorable, and that shouldn’t be ignored. Visuals in this film are unsurprisingly fantastic, as Peter Jackson has a knack for making his movies stunning, but he also has a knack of making his movies lengthy, very lengthy. If we take a step backwards, we realize that the book to the Hobbit is rather short. How Peter Jackson will make a book that short into three separate movies at three hours long each is beyond me. You could probably watch a marathon of all of the Hobbit films back to back while simultaneously reading the book, and finish the book first. There may have been things added in based on the history of middle earth, but let’s be honest, Peter Jackson could have made the film have the same outcome and even better if he shortened the film just a little bit. Less is more. Remember before seeing this film that it has a somewhat slow opener, the group takes at least an hour to even leave the Shire, if that gives you an idea of the pacing. It’s not nearly as bad as some of the critics have said, I would say it is underwhelming but still good. The acting is spot on, the visuals are great, and the musical score is just as memorable as The Lord of the Rings. 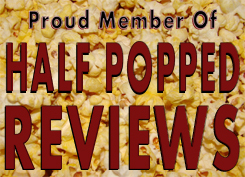 It is an entertaining watch, and a must see for any LOTR fan. It’s really important to note, especially for the sequel, that you SHOULD NOT watch this movie in 48fps. I know, that was the original intention of the film, but have you ever even seen a soap opera? Yeah, that runs at 60fps, but you do realize that the whole feel of a film is completely off. 48fps looks so wrong that it’s ridiculous. If you want a good time at the theater, make sure they are playing at the standard 24. For serious. You still have that LOTR feel that the others have, and memorable scenes to go along with it. If there was ever a film series with a great sense of adventure, it is this. The visuals are always stunning and it’s amazing to see some old characters that you love. For some of you that actually saw it in 48fps, that. There are too many dwarves to keep track of, and they aren’t nearly as memorable or iconic as the fellowship of the ring. These negative things ultimately impact the whole experience, making the film feel longer. Gandalf: What do you mean? Do you wish me a good morning or mean that it is a good morning whether I want it to be or not or that you feel good this morning or that it is a morning to be good on? The reason it makes sense to make this multiple films is because in the book, they can simply take a sentence like “then they fought the goblins” or something simple like that, and expand it to an entire scene. Remember, this was a children’s book, not like Lord of the Rings. It didn’t have the same kind of complex story telling or level of detail. Furthermore, they’re not just using the hobbit book as a source. In the Return of the King book, there is a section after the story called the Appendices. This section is partially a retelling of the hobbit in a style more like LOTR, and other parts tell other stories, some that happened at roughly the same time chronologically as the hobbit. Finally I think they’re also adding to the original stories in areas where there were plot gaps. For example, Gandalf is travelling with the group, and then suddenly, the book stops mentioning gandalf for a while, and then suddenly he’s there again. Using information from the appendices and other tolkien notes, Peter Jackson can reconstruct the missing pieces a bit. So there’s plenty of source material to create 3 movies. You can’t just look at the original book. I think they could have edited it down a bit in a few spots to improve the pacing, but I feel like most of what’s been done is pretty darn good. 95% for me. I don’t think so at all. Again you’re comparing it to LOTR, which you even say in your review not to do. I think the only characters you need to care about are Bilbo, Gandalf, and Thorin, and maybe Balin (the older one) and Radagast (the brown wizard). It doesn’t matter that you don’t know the others names. Not really. They’re more extras. It’s neat to learn all their names, but it isn’t necessary to appreciate the story. The other characters that are important to the story are obviously Smaug, Azog, the other various main villains, and the other returning LOTR characters. I think it’s putting the focus in the wrong direction to say that having all the dwarves is a problem. It’s not, because you have no reason to know each of those characters, and no reason to need any additional variety, since plenty of variety comes from outside the group itself, and since within the group the focus is only on Gandalf, Bilbo, and Thorin, the other dwarves don’t unbalance that variety at all imo. You do compare though, because you say you want it to be a diverse group just like LOTR. It doesn’t have to be like that. It’s a different kind of story. My point was, that without comparing it with LOTR, there isn’t really a good argument for why there’s anything wrong with the cast or characters. Looked at purely on its own, the cast and characters are great. Those are the only ones you’re supposed to care about. There’s nothing wrong about that. The story has a lot of dwarves, yes, but it only focuses on those. The others are more background characters. Important to the story, but not important for the viewer to care about or keep track of.